It's Misty again from The Jolly Fat Elf! I am excited to be here with you today to share one of my favorite collections from MissKateCuttables Amazon Store! In today's video, I share with you this cute Zoo Fun Paper Pack and Die Cuts! Pick this pack up from Amazon or you can purchase the digital paper pack directly from MissKateCuttables. 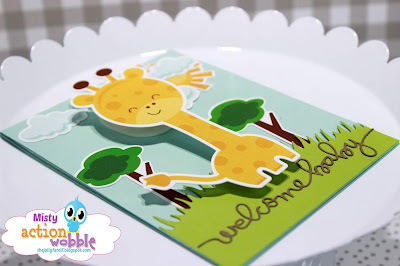 I decided I wanted to make a welcome baby card today using this adorable giraffe image from the die cut set. 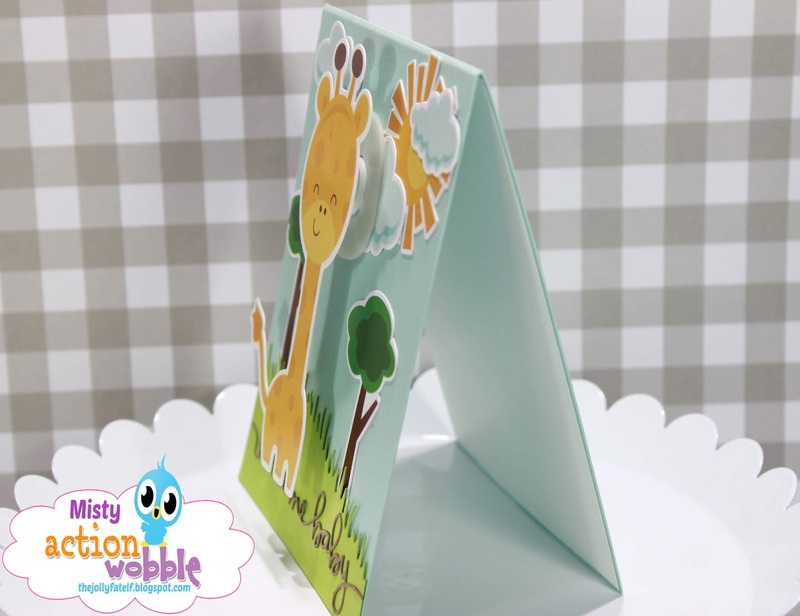 You can also find this giraffe available for download by clicking the link below! 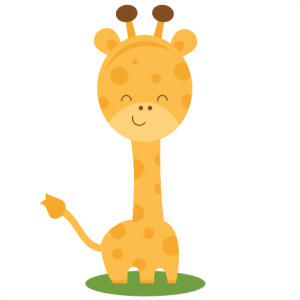 Click here for giraffe image. I used a piece of blue card stock as my card base and added some of the clouds and the sun die cut to my background. I added a few of the smaller tree die cuts and some grass. Finally, I added a sentiment and my giraffe die cut on an Action Wobble! Thank you for joining me today! Make sure you check out the video here or over on Youtube! Thank you for spending some of your Monday with me! Absolutely adorable! Love the cute giraffe & AW! This is darling!! Just love the design!